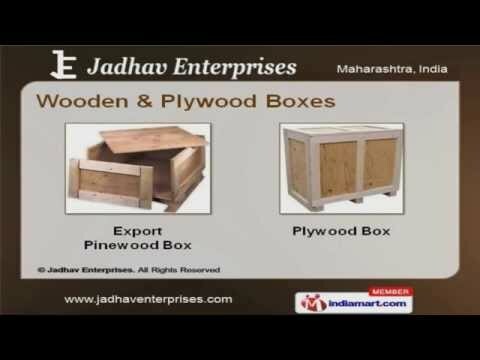 Welcome to Jadhav Enterprises Manufacturer & Exporter of Boxes, Crates & Pallets. The Company was established in 2007. Our High quality production & highly experienced workers have helped us to earn clients across the globe. On time delivery, Competitive prices & Sound infrastructure facility make us different from others. Fine Finish, Weight, Size & Styles are the some of our Quality Parameters. Our product list covers Wooden Pallets, Export Boxes & Packaging Films. Wooden & Plywood Boxes are available at very economical prices. We are specialized in offering Wooden Pallets. Export Boxes Offered by us are best in the industry amongst others. Along with that we offer a qualitative range of Packaging Films.